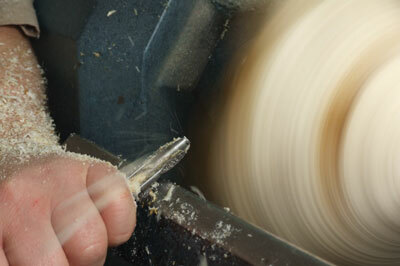 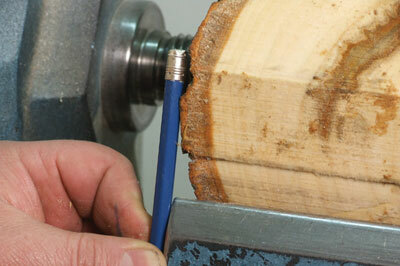 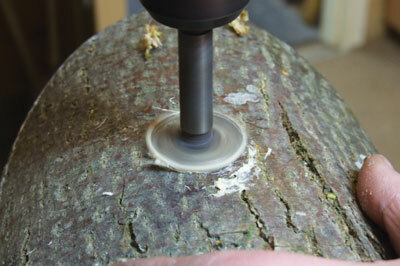 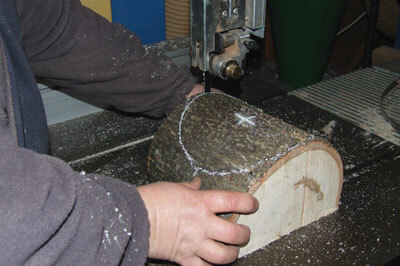 This month I am going to show you how I go about turning end and side grain natural edge items with green timber. 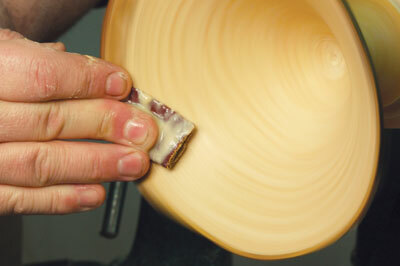 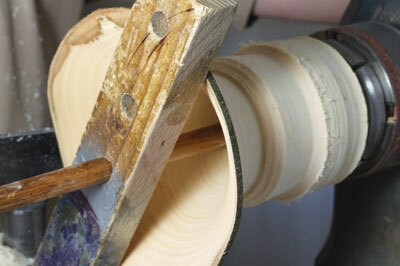 For me one of the most enjoyable experiences is to turn green timber; it is ideal for creating natural edge bowls and vases; the wet timber adds to the enjoyment and allows the light to transmit through the wet timber, allowing you to see how thin the walls are. 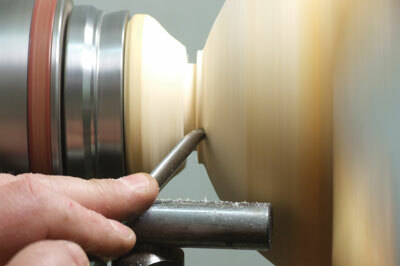 Depending on the colour shown through the timber, this determines how thin the wall is getting. 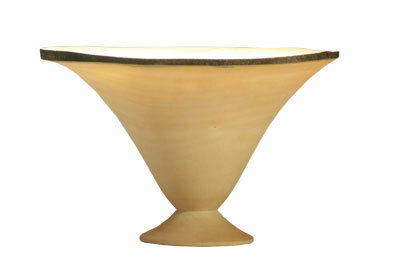 The paler the colour, the thinner the wall. 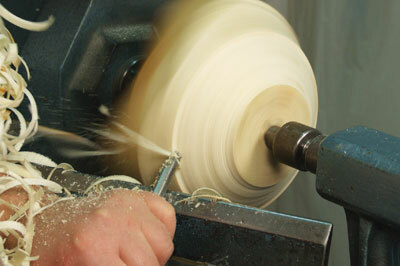 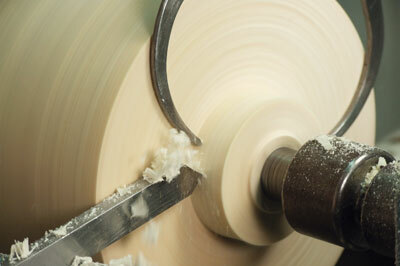 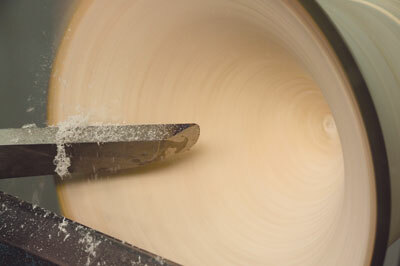 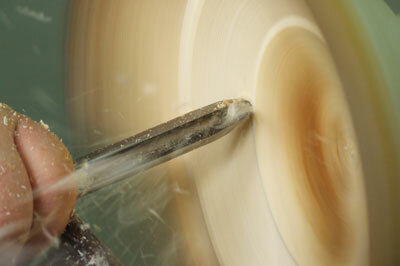 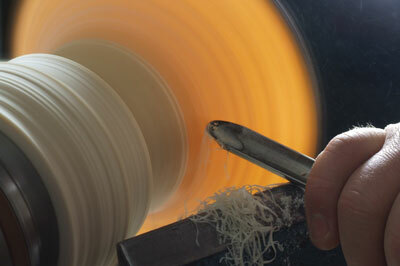 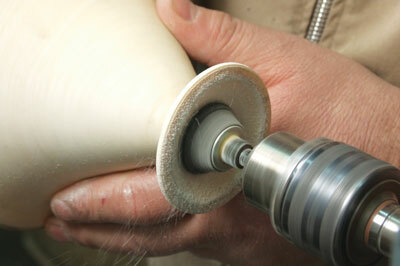 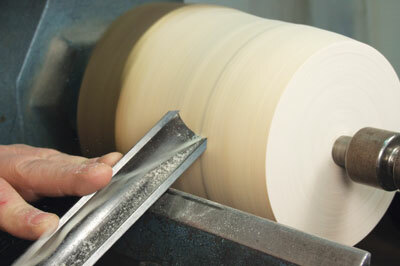 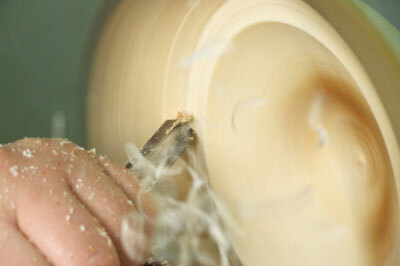 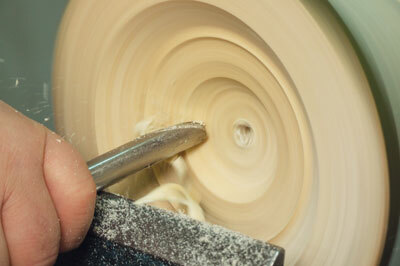 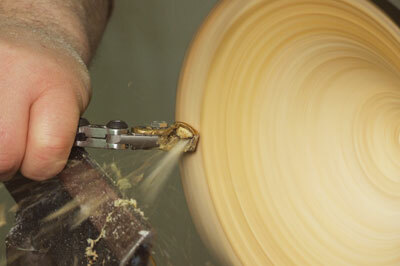 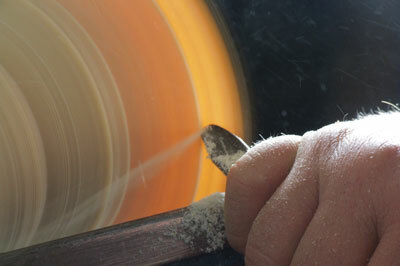 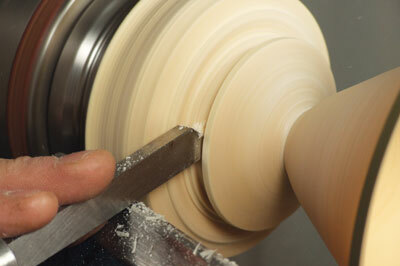 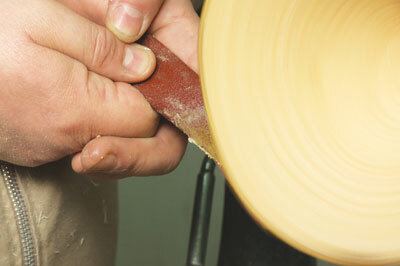 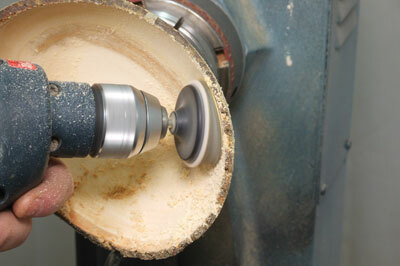 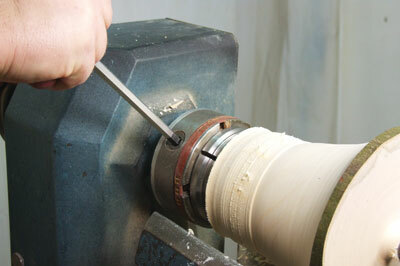 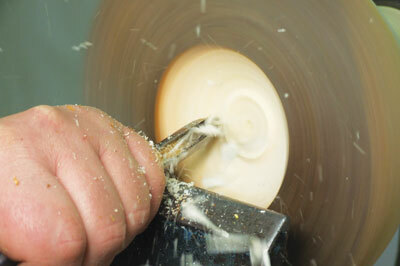 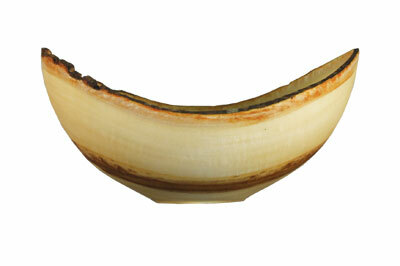 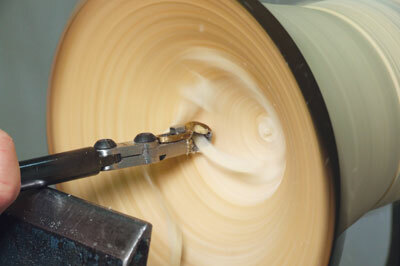 The colour will vary depending upon the timber used and its moisture content at the time of turning. 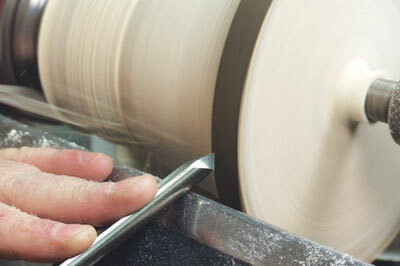 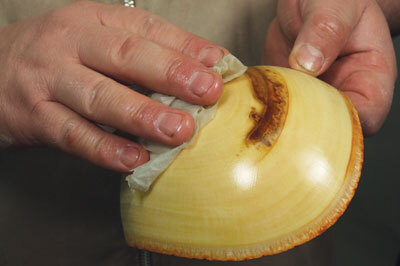 You may get a little wet during the process and you will have to clean up considerable amounts of shavings, but it is always worth the effort and is much fun. 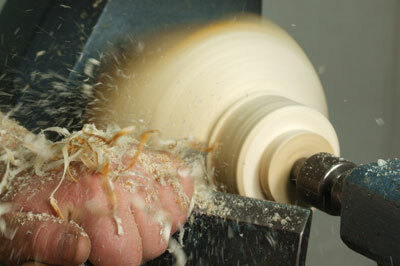 Holding of the wood for both projects is carried out using the same chucking method; however, both projects start mounted between centres.